Band Saw, Metal Cutting, Small foot print ! - The Iron Forge Fire Blackmithing Forum. Hello All, Hope all is well with everyone. Haven't been around, had ssssoooo many projects around the house and new Barn that I didn't do much Web Surfing. I am pretty much done with the House "Honey-Do List" for now, the Barn Electrics will finish as they do, except the Welder/Plasma Cutter Receptacles, those happen tonight or early tomorrow morning. The Forge is ready to test fire, again tomorrow, leak check then put the flame to it. Does anyone know of a good Band Metal Cutting Band Saw, that has a small foot print and a low price ? It doesn't have to have much of throat, I won't be cutting anything larger than inch stock or smaller most of the time. Larger stuff will see the Cut-Off Saw or Plasma Cutter. 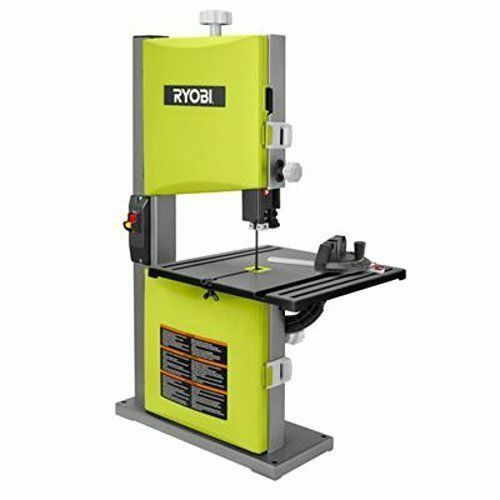 I have been looking around the Web for a Small Vertical Band Saw, HD and dependable but low in price and small foot print, but I have not found any that fit the requirements; so I am asking you guys. Funny how there are so many small Wood Cutting Band Saws but not a good small Metal Saw. So if anyone knows of a Brand and/or model to use and has an opinion on the best size to use please comment, I do need help here ! Hoping to have something to show the Group soon but not too soon. I've watched the Craig's List Listings. watched on eBay, there are a few good Older Band saws, a little big, and a little pricey. Nothing that fits the size and price I need OR is with in reasonable distance from the Forge to make it a good deal. I looked at the new small band saws on line, all of them have the same problem... the blade does not stay inlace when pressure is applied. I found a Delta 14" unit, a bit too large, on Craig's List, rebuilt, looks good, might make an offer... still deciding. Not much response to this Thread, I'm guessing it is too common of a question but this is where I am at. First, all I need is something to cut small pieces os still lengthwise... cross making and small things. I'm thinking this one should do it, with a Metal Cutting Blade... and the price is low enough ! Its a light duty saw, yes, but I'm thinking it could work for a cheap son of a gun like myself. $145 / free shipping ! 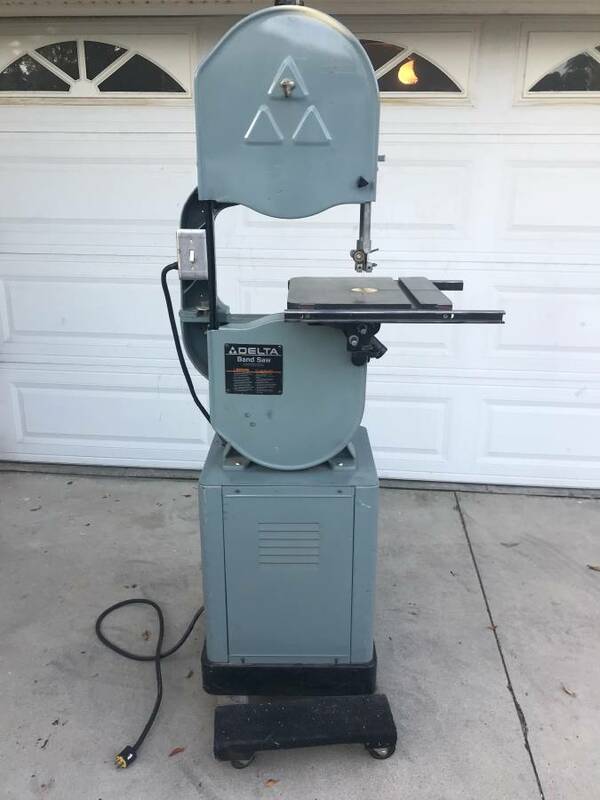 The Delta 14" band Saw I e-mailed about, came back with, "It belonged to my Grandfather and it works" ! That was all the info I got... $300.00 asking price and about 1.5 hour drive, each way ! If this saw belong to his grandfather, and not knowing who or how old this guy is I am talking to, I am guessing it was made in the 70s, but that is guessing and he doesn't even know the serial number that might have helped ! So I need to make an offer and go see it, not sure I want to to travel in this heat we ar having, the truck is older and not sure I want to see how the AC will hold up ! Anyway thinking on it too. 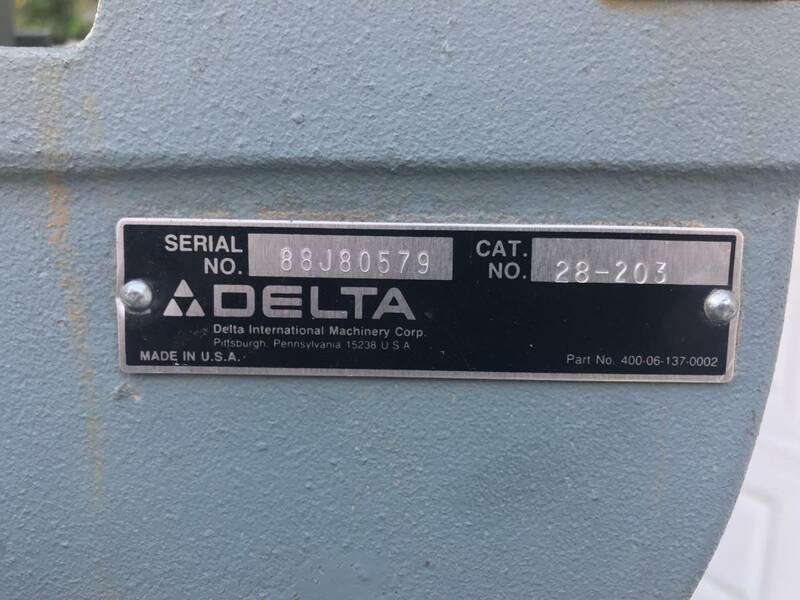 Made an offer on the Grandfather's Delta, $250.00 IF all ran true ! He said come by, to me that is an ok on the deal. Made arrangements and was just about ready to leave and got a text saying he had a family emergency and would be able to meet and that he would contact me about a new time. I first thought he was just backing out of the decision , then I thought if he went to this amount of trouble to text, twice, he must be on the up and up. It has been three days without a response, I am not sure what the emergency was so I am holding off contacting him. Waiting for a call or text ! I had four 14" Delta Bandsaws that I made offers on from Thursday and over the weekend; no one wanted offers... I guess ! One guy, with what I considered the better of the saws, did take the time to tell me what to look for, I thanked him for that, he could have just said no way, but he took time to respond. The Grandson, that is selling his Grandfathers Tools, was good enough to Text me and let me know not to come because of a Family Problem... waiting for him to contact me about another meeting ! So a long weekend making offers, waiting to hear back, decent responses but no saw. Still work ing on two more, hoping for the best but these two are Ridgid Saws. they look just like the Delta except the Sheet Metal is a little different shape; I made offers, we will see. One of the guys that wanted a little more than I wanted to pay emailed me with a question, "You still looking for a saw", yes I've got it ! The guy said if I want it so bad he will let it go for the offer, OK I will take it. Now to drive and hour to pick it up. It looks in good condition, 110/220 volts, thats good, I like 220 volt tools. So I now have a band saw to cut some steel and start my first Fredricks Crosses. I chose the Cross as my starting point so I can teach myself some hammer control. Planning on using some 1/2" square stock, we will see. I'm happy, everything I looked at new had so many bad reviews that is kind-of threw me off ! I found through a Blacksmithing Site that these older Delta/Rockwell's were the way to go but finding one that was a decent price and in decent shape was another thing. One guy wanted over $500 for one when I offered him less money he sent me a picture of a POS and said I could have it for $200... NOT ! I found this one and liked what I saw, will have it tomorrow. This guy said he wanted over $500, but posted at $400 for a quick sale and I got it for less than that ! Can't wait, want to pick it up now ! Its almost like Christmas... I'm excited ! Pretty sure that is a woodcutting band saw. A metal cutting bandsaw will be anywhere from 80 to 300 fpm on the blade, that saw will probably not be able to step down that low. For cutting metal slow is the name of the game. Thanks you and I know it will need a speed reducer. I purchased this saw for two reasons, first it was in good condition, better than most I saw on the web, and second, it was in my price range, actually it was higher than I wanted to pay but thankfully the guy was will ing to let it go. I have an "Idler Shaft" with bullies on both ends, both bullies are four stages or four speeds, then you have the four stage pulley on the saw. I am hoping to find a speeds I can use for both metal and wood but I will be using the saw for metal to start off. Not even sure if this can be done, I will give it a try, setting up the Idler Shaft, use a metal blade, and hope for the best ! If it doesn't work out or things get to much of a mess inside of the saw I will clean it up and sell it and start over. I was thinking to add a "Wheel Brush" for both the upper and lower Blade Wheels. Hoping it will clean off the metal chips before they impede in the Blue Max Tires. There is also a Vacuum Port just under the table, thinking that will get rid of most of the chips ! Only time will tell but for me everything take far longer than planned. I will post something once I have had a chance to try out my ideas. Read a lot about Variable Speed Motors, some AC, some DC, watched Videos too ! If money is there to spend, then the High Torque, Variable Motor seems like a great idea, I am not talking the high end fancy stuff, just a low cost, no digital readout, two switch design. One Switch for On/Off and the other for Speed Control; you will need to guess at the best speed until you become familiar with the set up but after a few blades you should be able to know the best speed to use for what ! I am looking at a 3/4 hp, DC Motor, with PCB Controller, comes with a Potentiometer for speed control and I have to supply the On/Off Switch. I need to mount the Controller in an Electrical Work Box under the saw and Mount the Motor differently but I like the idea... watched a U-Tube Video and liked what I saw. Looking for the best price on the Motor and Controller but should be ordering soon. At this point I am trying to determine if the Motor/Controller will work on 220 volts; I have contacted the Factory and talking with them... it appears the particular motor I am looking at need 90 volts DC to run correctly, my problem is the Input Line Voltage. Still talking to them, shouldn't be long. Today I am looking at an older Sears/Craftsman, 1" Belt Grinder, similar to one I used to have years back. It needs a motor but I have a spare 1/2 hp, that should work out if the shaft size is the same. As I like to say, "Only time will tell" ! DC Motors and all that stuff is ok if you can find a treadmill for cheap because it should have all of that stuff right there. Do you have 240v power in your shop? If so I would say its far easier and cheaper to get a cheap three phase motor and a VFD to get slower speeds out of a motor. Most of the time I can find 3 phase motors cheap because the average homeowner has no idea what to do with them. Yes I have 220 volts single phase, not sure exactly if it is 220, 230, or 240 !?! 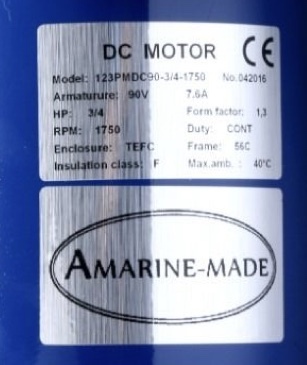 I already ordered the new Variable DC Motor, working on the controller, I believe I know th correct one and the Manufacturer of the Controller has verified the use of their controller with the motor, only problem I didn't watch for the 220 volts use... ! It appears that the PCB Works on 220 but the Motor will have a problem with the output of the Controller using 220; nt a big deal, it will be hooked up using 110 and the Controller / Motor can live happily together. Thanks for the ides, maybe I should have setup shop wide 3-phase power but I don't use the tools all the time so I am not sure if it would be more of a PITA than the DC Motor System. I guess I didn't post the DC Motor / Controller Picture in this Thread !?!?!?!?! This is what the 3/4 HP, DC, Variable Speed Motor looks like. 90 volts input volts at 8.34 Armature Amperage; 12-15 amp Circuit Breaker, factory Suggested. Here are the specs on the Motor. No picture of the Controller PCB but here is the Schematics; comes with the Potentiometer. Both the PCB with Mounting Plate and the Pot needs to be mounted on the saw, I have the location, just need a Utility Box od some kind, and will use Steel BX Type Cable for all connections. AC to DC Variable Motor Controller. 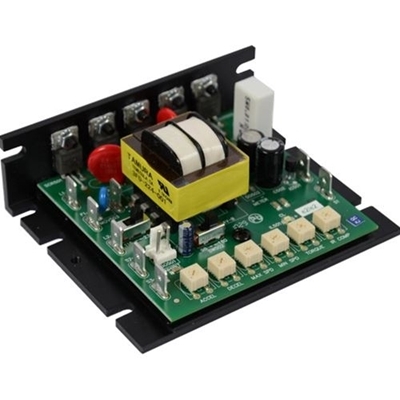 120/240 Input Line Voltage and 0-90 / 0-180 Output Voltage based on Input Voltage. It will handle current to just over 10 amps with a Heat Sink. Found a picture of the Controller or Drive... ! The Manufacturer/Distributor, want more than The Surplus Center, and they do not include the Pot to control the speed. Not much of an update, but I purchased a Delta Wheeled Base for my 14" Bandsaw. Has a wheeled lever in fornt to pick it up so it can be moved easily. Funny part, after searching the web for this base, new, the least expensive place was none other than Home Depot, even with the Sales Tax, HD beat the web by a decent price difference ! In fact, most people selling one, wanted almost as much as I paid for new ! NEXT for this project is the Motor and Controller Install ! Found a Used Electrical Box under the bench, 10' x 10' x 4', doesn't have a cover yet but I will make from Aluminum, but it will be re-purposed to house the PCB Controller, 220 VAC,15 amp Circuit Breaker, and wiring, 220 VAC in, 90 VDC out ! You are trying to adapt a wood saw to cut metal and you are going to slow it down with a speed controller ... aren't you going to lose a lot of torque? Wouldn't you be better off changing the pulleys on the motor and saw? Cheaper too. Yes, if I was using a standard motor, similar to what comes on a Bandsaw from the Manufacturer, the pulley system would be a good move... except that the torque of a OEM motor varies so much from start up to full speed that there is always problem is trying to reduce the output rpm, pulleys or otherwise, but I will be using a high torque DC Variable Motor, with a Controller/Converter PCB to change the 220 VAC to 90 VDC. 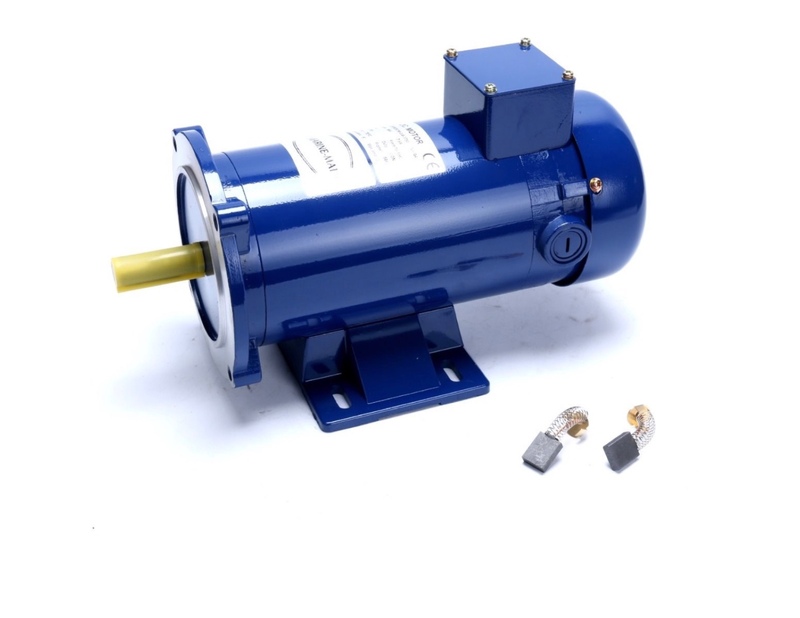 These motors are designed for high torque starts and maintaining that torque through the RPM Cycle. To tell you the truth I have only read about them, seen it done once on a Bandsaw, and did at one time work on Machine using DC Variable Motors... but it has been a long time and I am using someone else's master plan, but it looks like a good one to me ! I was thinking of adding a three stage pull also but I need to do some more investigation. I am afraid I have three project at the ready-to-do and as usual the Honey-Do List never gets shorter, so I am actually struggling with my short comings of starting and stopping projects in about three minutes, this is one of my biggest problems to finishing things, but I am working on it ! here's one for ya,, its a bit big but the price was right. $150. It is ~10' tall, has 4' dia wheels and weighs over a ton. Wonder what that was used for ? Maybe the Lumber trade ! I have all of the parts, just need to get the wire together for the single runs in the control box. I have a lot of rolls of smaller gauge wire from when I did Dash Board Rework, so I am hoping I have enough wire; need 12 gauge for main power in, and for Load off the PCB to Motor, and some 16 gauge for the Potentiometer and a few jumpers on the PCB. After I get the new Fuel Shut Off Solenoid installed on my Tractor, then I can get the Motor Control Wiring together. I purchased a new Large (too big) electrical Box, 12 x 12 x 6 inches deep, from Zero ! Turned out to be too big for the application, so I contacted Zoro to return the Box, they refunded my money without having me return the Box; I was told to donate it to a local Help Center. Interesting place, Zoro, they have a lot of tools, fitting, and miscellaneous item, good pricing, and the Pipe Fitting Threads fit the older Pipes and Fittings... China vs US. But all in all, I found a new Electrical Box under my Bench and decided to use it instead. So I have taken all of the parts from above postings, i.e. DC Motor, DC Controller/Converter, and Circuit Breaker, and have aligned them in the Box, drilled some holes, haven't mounted things yet but had to do something on the Honey-Do List, so I will get back to it soon. You will have to wait for the Rest of the Story and the pictures. All wired, 220 VAC input to a 15 amp two pole Circuit Breaker to a Aircraft type Type Switch with Emergency Shut Off Cover, then back to the PCB Controller. Output from the PCB to the motor, 90 VDC, 10 Amps Max. The Controller has a separate thee wire connection for the Potentiometer, that will control the speed of the blade. I just need to mount the Switch and the Potentiometer Boxes, and cut a new cover for the main control Box and I will be done. Won't be long I will be cutting steel ! I think I will add an Air Tube to clear the filing, not a bis deal just some plastic tube. p.s. The Tractor has been up and running for a while. The Fuel Solenoid wasn't a big deal, I had never replaced one before and didn't know how easy it was going to be. My only hope now is that the Solenoid holds up. Its last reincarnation before me was in a butcher shop. They added an extension to make it tall enough to cut a carcass in half the long way. I got it from a grand ole man who had a lumber mill. Try that with some of the Band Saws out there now-a-days... NOT ! It's very under powered, but is set up speed wise to cut iron. So I just let it cut at it's own speed. Lil, nothing ever overheats! My plan at one time was to add a far larger motor, another set of pullys for ripping, and be able to rip logs. I'll probably never do that. I have an Alaskan mill and a good Stihl chainsaw for my logwork. I just don't have the equipment to move a log thru my bandsaw and a few other tech problems as well. Hi Scrambler, how are you going with that delta bandsaw? Sure beats the Ryobi you saw first. Delta is a good brand and the older tools are even better. Another good one is Jet. Being a procrastinator by nature, the Saw has not has a really good sawing session, not as far as I would have wanted, but it is up and running. Variable DC Motor, appear to have enough power to cut the 1/2" square stock, so I am already ahead of the game. Wondering what your thoughts are on the "Teeth per Inch" required for cutting steel. I am using an 18T/in, it is working ok but just thinking if there is a better blade to use for just rough cutting ? I don't own a bandsaw but a cold saw. The principle for the slow cutting cold saw is two teeth on the job at any given time. I believe it is similar with a bandsaw since I have seen recommendations of 6 teeth per inch to cut 1/2" and that is roughly just under 3 teeth cutting the 1/2 inch at any given time. The 18 teeth should do the job well but will demand more power or be slower. You can cut sheet metal with it and get 6 or 8 teeth for rough cut. 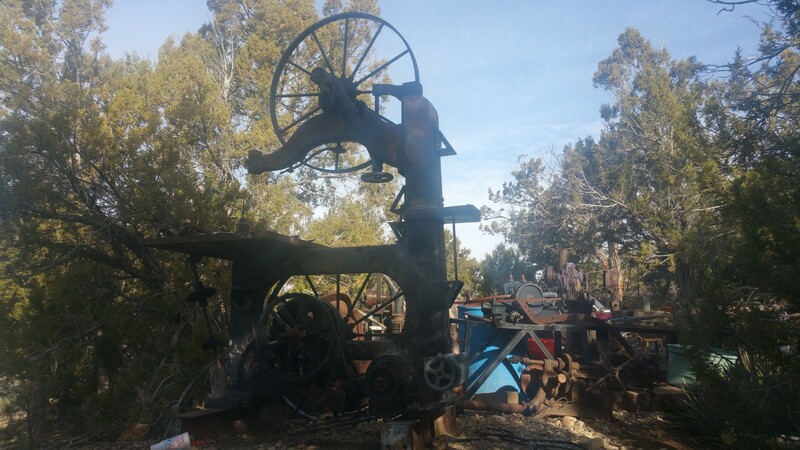 The idea is that you can push only that hard the saw into the work, and if you have too many teeth, the pressure per tooth becomes insufficient to make them dig in and tear the metal. I always worked under the pretense of less teeth for wood, more teeth metal, of course there are variations but basically. I will have to try out the 6-8 TPI ! It will make a huge difference and you will need to push very little. I looked at your link, I was surprised to see the TPI on their chart. I will need to see how the 6-8 TPI will work out. I remember the first time I used my Toothed Cut-Off Saw, as I brought the blade into contact with the metal bar I was ready for it to blow the teeth off the blade but it cut through like butter; the same is happening gain with the TPI count, should be interesting. Thanks or the link, good info. This ends up being a pretty good thread. Just me but I think there is a good bunch of knowledgable people here, although I am a reject from another sight and very slow to progress in the Hobby, I have gained information and Web Site Friendship on your Site, Thanks !